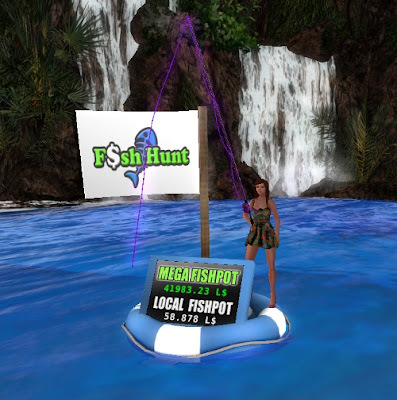 All About Second Life: Fish Hunt - Earn free lindens! Today i like to write about this awesome game to earn free lindens! If your new to second life or not, young or old, what ever species you are, this game is for everyone! Well then you really need to start with this great game! Fish hunt is a fun and easy game and its free to start! The beginners rod is free and available in 9 colors! Click here to get one of the free rods, and here you find all the lands where you can fish! With the rod you also get some small worms so you can fish directly when you got the rod. Just wear the rod and wait till its ready! You will see that in the local/nearby chat and also on top of the rod you see a black timer. Be sure your within 40 meters of the buoy! (in your local/neaby chat you will see a text if your too far away from the buoy). When your rod is ready all you need to do is just clicking your rod! You will see a text in your local/nearby chat and also a green timer on top of your rod. And you need to do is click the rod again to start fishing! How much worms you have left (all sort worms!). Shubbie stats (only when you have a shubbie). How much EXP you need to go to the next rank. Thats all you need to do to start fishing and earn lindens! But but but wait... I hear you thinking... What about the worms? Are there different worms? What when i dont have any more worms? What is a shubbie? Biowaste whats that? 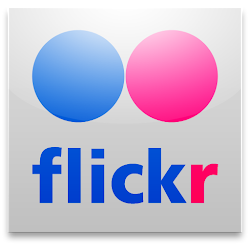 What about other rods? Ehh Potions? Well read further and you will know more! You cant fish without worms! So yes, after you spend all the worms you got with your free rod you need to buy (with L$) some new worms. BUT, worms are very cheap! There are 4 sorts of worms. Small, Tasty, Enchanted and magic worms. Small worms are the cheapest and magic the most expensive ones. Why? Because better worms will give more EXP and catch fatser. You can buy the worms at the fish hunt headquarters but most places where you can fish have also barrels. I always fish with the cheapest worms, the small ones. I dont mind to spend a lil more time to catch a fish or to get a new rank. If you use the free rod you CAN win worms! Above is the way to get lindens without spending alot lindens, but yes it takes alot more time! If you wanna get faster lindens so better fishies, more exp (because yes, that helps to get better fishies) win prizes like potions and biowaste... its up to you how much lindens you wanna spend. The next rods are the same as the deluxe rod BUT different looks so you can have a rod that fits your personal style! \☺/. You need to have worms and as i already said there are 4 to choose from. Up to you wich one you gonna use! (read above to see wich ones and theres also a link to read more about worms). With better rods you can win (extra) biowaste and prizes! Biowaste you can sell at the HQ, Biowaste is something you need when you (also) play another game from goldtokens and second ads, called Farm fenzy. What are potions and what do they do? Shubbie is a cute lil water spirit that will sit on your shoulder. It need food(1 white powder for 1 cast) (White Powder) that you can win but also buy at marcketplace, the HQ and some other places will sell it aswell. Your shubbie will give x1 experience (EXP) and your shubbie can use potions that you also can win or buy at the same places as the food. Blue (normal x1 EXP), Green (x3 exp) and the rare one is red (x5 EXP). The blue shubbie you can buy at the HQ inworld or here on marcketplace for 2200L$. And last but not least... How to get the lindens! You need to visit the HQ, thats the only place where you can withdraw! Just click it and choose withdraw from the menu. Goldtokens and Second Ads have more games, like the biowaste that you can win with this fish hunt and you can use for farm fenzy! Wanna know more about the other games? Its always nice to vote! I hope you will like this game as much as i do! At the x2 or higher places (in the begin of this post i posted the link to see all the fish places) there are always people so you never have to feel lonely! Have fun and good luck with fishing! With Fishing Hunt how much linden can we take out from the ATM?